If you're interested in the city, you should be interested in AD EX. Architecture has a new epicenter in Dallas with the opening of AD EX (short for The Architecture and Design Exchange) this Saturday in downtown near Thanks-Giving Square. Formerly known as the Dallas Center for Architecture, AD EX is home to the Dallas chapter of the American Institute of Architects (AIA Dallas) and The Architecture and Design Foundation. It may sound like an attraction for architects and architecture students, but it’s relevant to anyone who’s interested in the city and the way it functions. The center offers public programming such as walking tours of Dallas and panel discussions on topics like urban planning. You’ll also find architecture-infused art exhibitions. Inside the new AD EX space downtown. Brown hopes that the new, 13,000-square-foot facility downtown will increase the organization’s community engagement. Where the old Dallas Center for Architecture was tucked away near Klyde Warren Park, AD EX has an approachable storefront in the middle of downtown with a larger exhibition space, a Design Learning Lab, and a front porch. “It puts us in the heart of things,” Brown says of the move. The grand opening of AD EX also brings the opening of two exhibits: Building Toys and Toy Buildings: Architecture Through a Child’s Eyes, and A Window into the Architect’s Mind: 44th Annual AIA Dallas KRob Memorial Delineation Competition, both on view through January 31. The former is a returning exhibition featuring hundreds of years worth of buildable toys – from Lincoln Logs to LEGO to the Eames House of Cards to the original Barbie Dream House and even a 6-foot tall K’Nex Ferris Wheel. 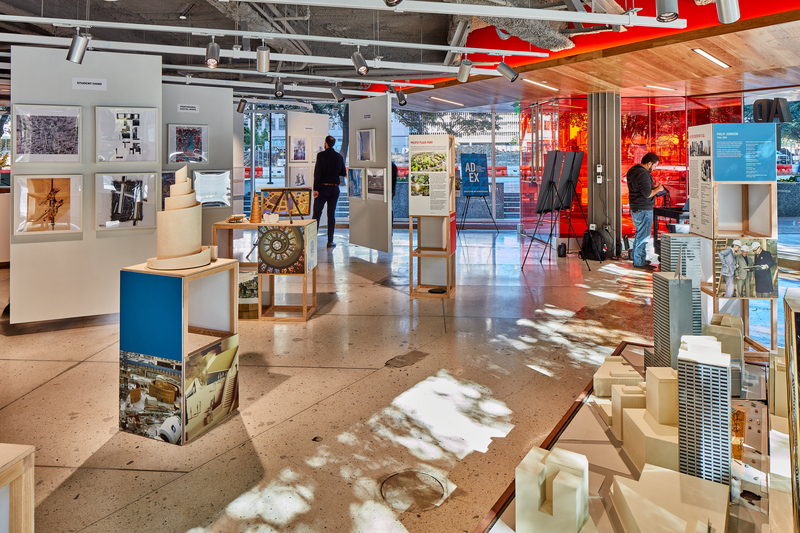 The latter is an exhibition of the most senior architectural drawing competition currently in operation in the world, the AIA Dallas Ken Roberts Memorial Delineation Competition. The global competition accepts artistic drawings that tie back to architecture in some way – other than that, professional and student architects are welcome to get creative with their submissions. More than 300 applicants from 20 countries participated this year. Out of the 53 finalists chosen, two are Dallas residents. “It’s always really amazing to see that even though we have entries from all over the world, we always have local winners,” adds Hitt. The exhibitions and the new AD EX space make their official debut with a free, family-friendly event on Saturday, December 8 from 10 a.m. to 3 p.m. at 325 N. St. Paul Street. There will be refreshments, an art-making activity planned with partners Downtown Dallas, Inc. and Better Block Foundation, and a DFW Toys for Tots drive.